An evening length theatrical production of the music of Ravel, Stravinsky, Schoenberg, and our very own Evan Kassof presented as part of 2019 Philly Theatre Week! With theatrical direction by internationally-performed, Philadelphia-based writer and director Daniel Huntley Solon, actors will ‘perform’ the music and text through movement and gesture. The music will be led by Evan Kassof, conducting the nine fantastic, professional musicians of ENAensemble, and featuring six singers who will add their unique voices and interpretations to this kaleidoscope of expressionism. Every. Single. Dollar. We receive through our fundraising efforts will be used to pay these performers. ENAensemble endeavors to pay our performers as much as possible, as this production’s performers have well over 200 years in combined years-of-experience. Your donation will pay them what they so rightfully deserve, and will act as a gift of encouragement to our entire group as we continue to work on creating unique performances. Excitingly, we have already received a $1000 grant from Temple University to help with the costs of this production. We are extremely grateful to the Vice Provost of the Arts at Temple University for providing a sincere investment in our vision. This grant funding, coupled with our fundraising efforts here, will provide a significant pool of money to pay our performers from! Here’s more on the show! In 1912 a pivotal piece of music – Schoenberg’s Pierrot Lunaire – was premiered in Berlin, inspiring an entirely new approach to the using the voice in music. Stravinsky and Ravel responded with two pieces, premiered together in January of 1914, for a similar ensemble and their own unique reframing of the voice. A century later, Evan Kassof’s Three French Songs were written in London and inspired deeply by each of these three works. 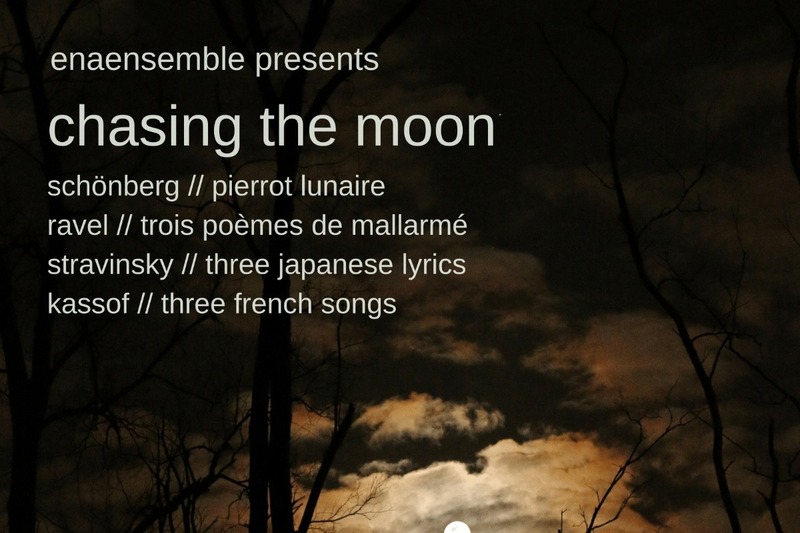 ENAensemble’s presentation of Schoenberg’s Pierrot Lunaire, Ravel’s Trois poèmes de Mallarmé, Stravinsky’s Three Japanese Lyrics, and Kassof’s Three French Songs, features a highly theatricalized interpretation of the works. Actors will - under the guidance of our Guest Artist and Director Daniel Huntley Solon - move through the music and the space as an ensemble of nine players and multiple singers give voice and urgency to this paranoid, beautiful, troubled, obsessive, funny, and tragic music. ENAensemble’s presentation of chasing the moon is funded in part by a Vice Provost for the Arts Student Grant from Temple University, Philadelphia, PA, USA. If you're interested in attending, tickets will be available through Theatre Week soon! 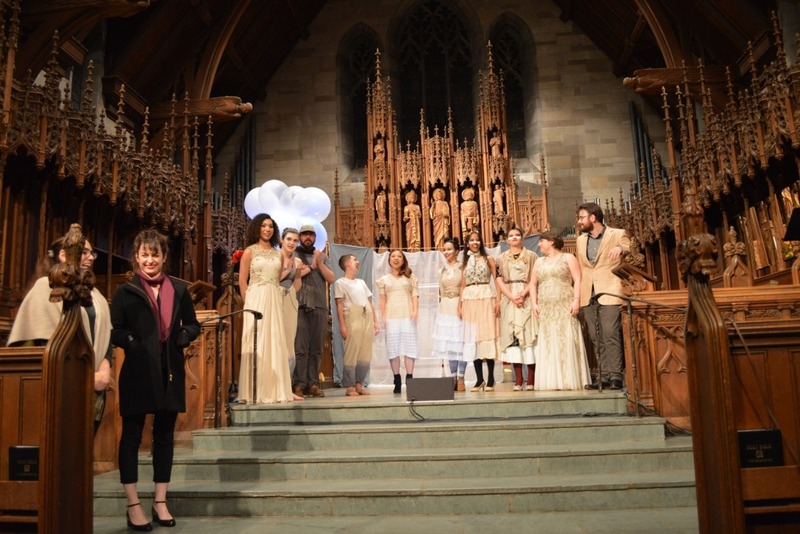 The show will take place at the hauntingly beautiful St. Paul's Episcopal Church in Chestnut Hill - February 16th, at 7pm! Please check out ENAensemble.org for more information about Chasing the Moon, and our other upcoming productions! We know it's been a long time since then end of Chasing the Moon. Since that day we have not stopped- because YOUR support made Chasing the Moon SO SUCCESSFUL with our audience- we were able to launch directly into the Serial Opera Project 2019, a series of free chamber concerts presented at the Free Library of Philadelphia from March until August. It's been keeping us very busy!! However, you have been on our minds and we know we couldn't have done any of this without your support. You helped directly fund the work of 25 incredible artists- from make-up, to hair, to technical assistants, to photography, to actors, to musicians, to directors, etc... Your grassroots support of art in Philadelphia allowed us to share our experience with over 200 people in one night. Isn't that incredible? WE certainly think so! 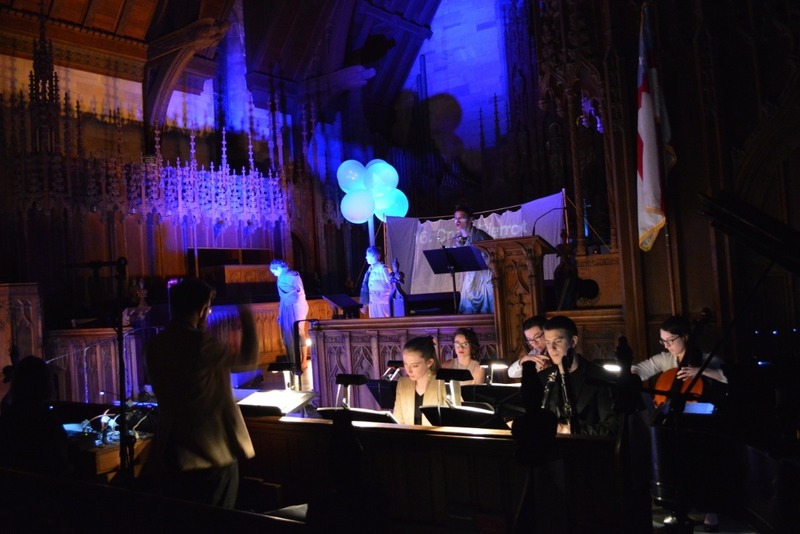 ENAensemble is currently working on the Serial Opera Project which will culminate in a Philadelphia Fringe Festival Show for the Fall of 2019- so the horizon for experimental theater and music is bright. Thank you for keeping us shining!!! P.S. 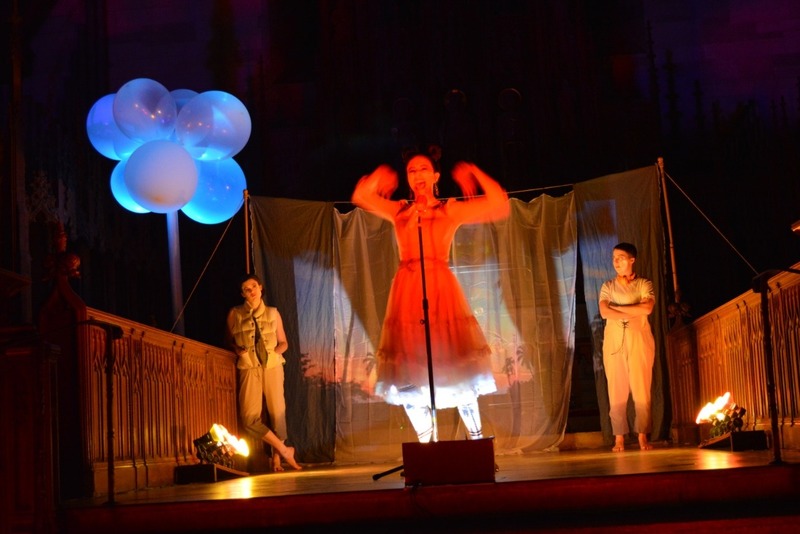 Keep in touch with us at www.enaensemble.org or find us on social media! If you came to the show we'd love to know what you thought!